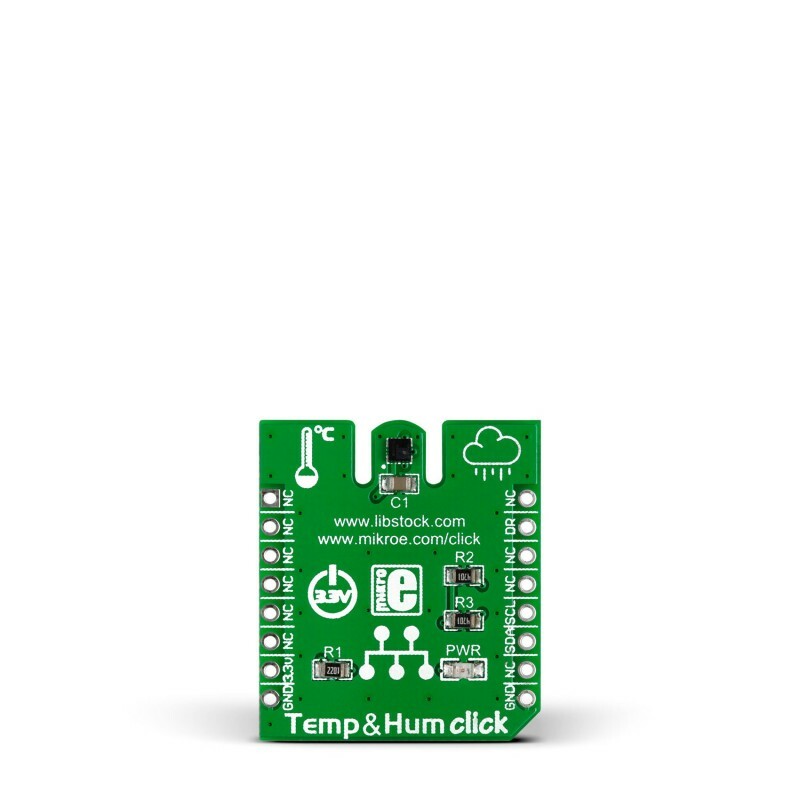 Temp&Hum Click carries ST’s HTS221 temperature and relative humidity sensor. 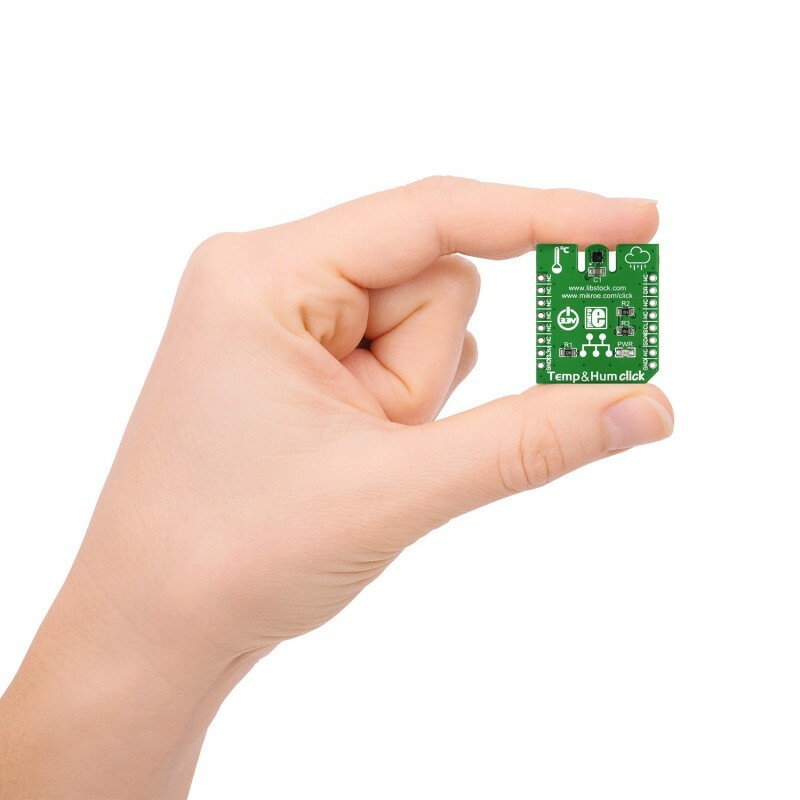 Its temperature measurement accuracy is ±1°C within a 0-60°C range. 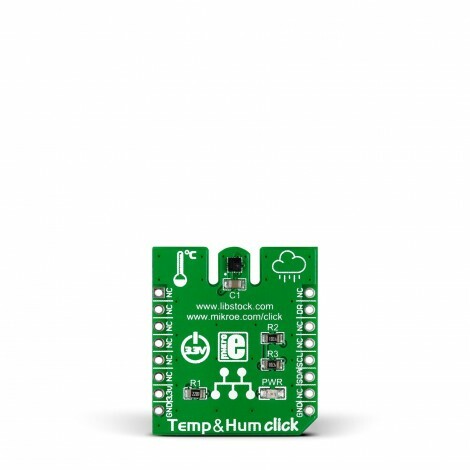 Temp&Hum Click carries ST’s HTS221 temperature and relative humidity sensor. Its temperature measurement accuracy is ±1°C within a 0-60°C range. The precision is increased to ±0.5°C in a narrower range from 15 to 40°C. 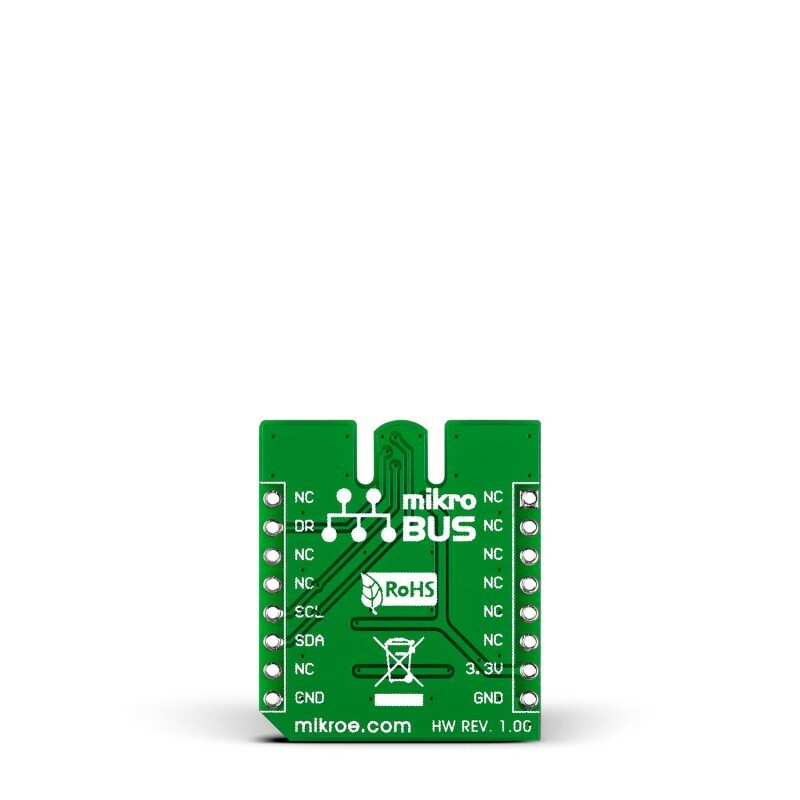 The highly sensitive relative humidity measurement range is from 0 to 100% with ±6% accuracy (or ±4.5 in 20-80% range) The measurements are outputted in a 16-bit resolution through the mikroBUS I2C interface. 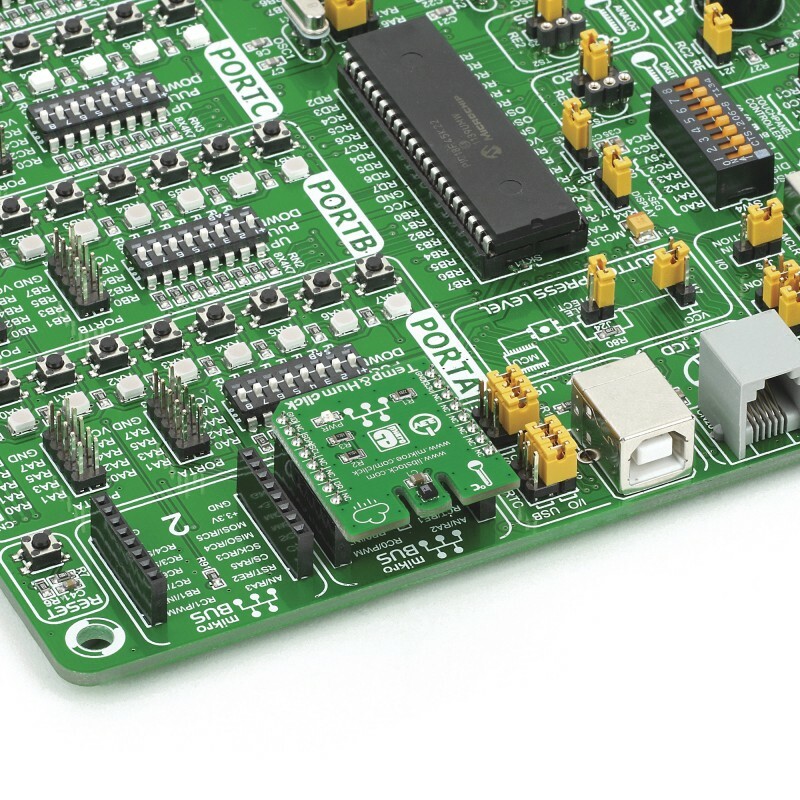 The board uses a 3.3V power supply.